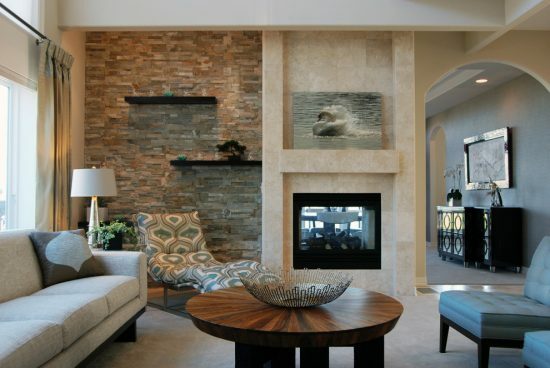 Whether you have a modern or traditional home, the warmth of fireplace or fire screen will flood your home with magic. 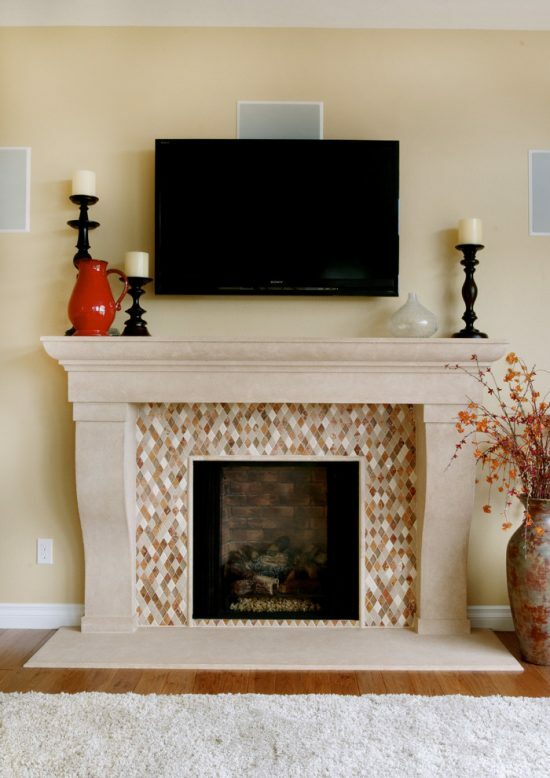 If you will install a TV above such a fireplace, you should make sure the place would be safe and functional. “I’m not a huge fan of putting the television over the mantel,” says Jason Ball. Actually, you will watch TV when you intend to spend enjoying times with your family members, but the fireplace can be an ideal space for reading or telling stories. In addition, it couldn’t be safe to install an electric TV above a gas fireplace. 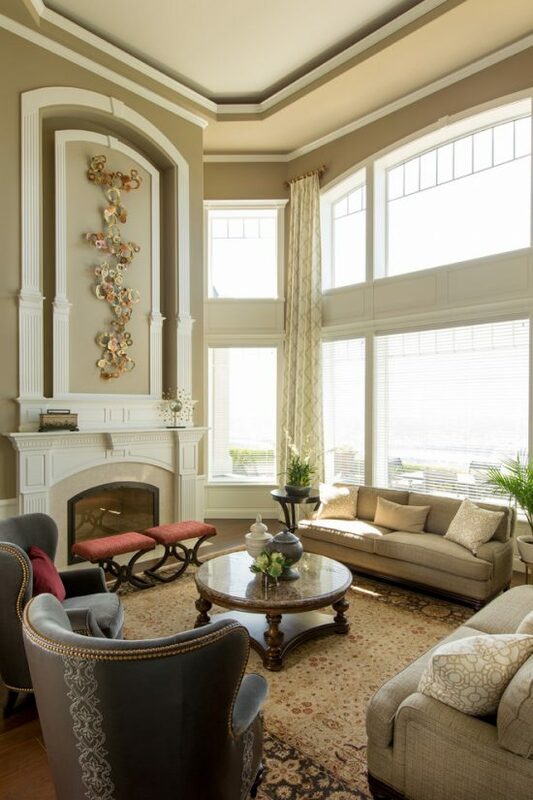 However, if your living room hasn’t another suitable space for the large TV screen or you need to combine such aesthetic and functional elements to create a unique focal point, try to avoid using a narrow mantel and make sure the mantel is deep enough to display your artworks. You should apply all of the safety measurements such as installing a firebox and cleaning the chimney of your wood or rustic fireplace. 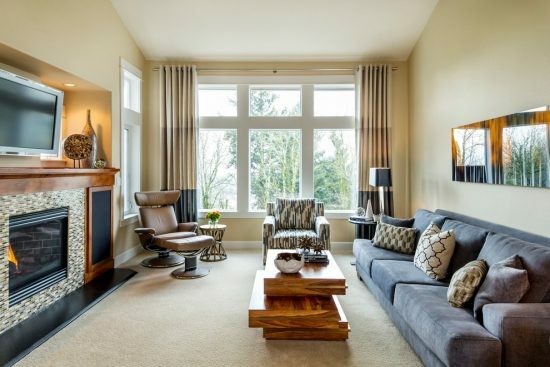 It will be a great idea to let a professional provide you the best safety tips for the type of your traditional fireplace and choose the suitable stone veneer or paint to enhance the aesthetic look of your living room. Most of the modern fireplaces are already safe and come with aesthetic materials such as stainless steel and glass. 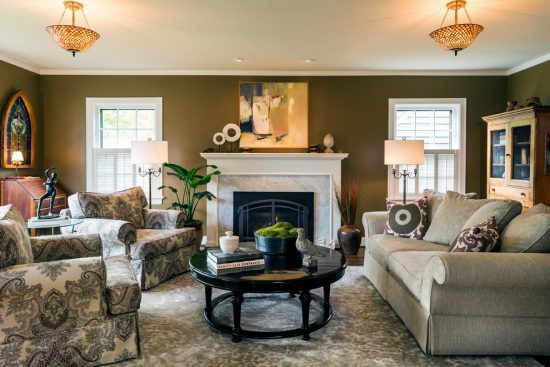 Even if you have a Victorian or rustic home, Jason Ball advices you to use a modern fireplace with a rustic surface or “a wood mantel with a new surround out of glass tile,” says Ball. Instead of the TV, you can add a bookcase or built-in cabinets to your living room focal point wall to enhance the depth of your fireplace. 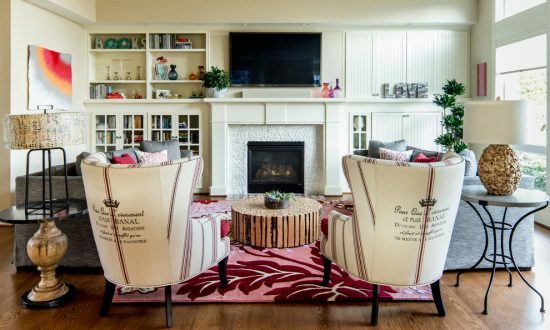 “I worked on a project where there was a fireplace wall that was designed around an old-style tube television, so the old wall stuck out about two feet. 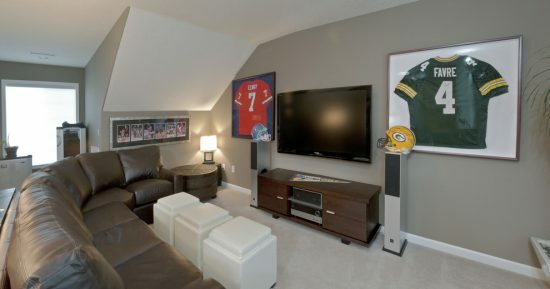 I took out that wall and built in new cabinetry with windows above them, which really lightened up the room,” says Ball. What is 7 multiplied by 3?